Windbells plate. I0 inches wide. No chips or hairlines. Has had a refresh to the yellow and a bit of mild crazing. 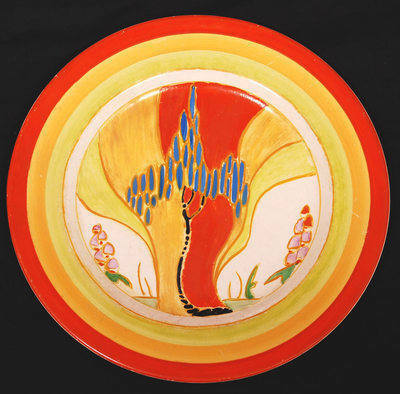 Signed Fantasque Bizarre by Clarice Cliff. Dates to 1933. Price £225.